I wish you and your family a Happy Thanksgiving! 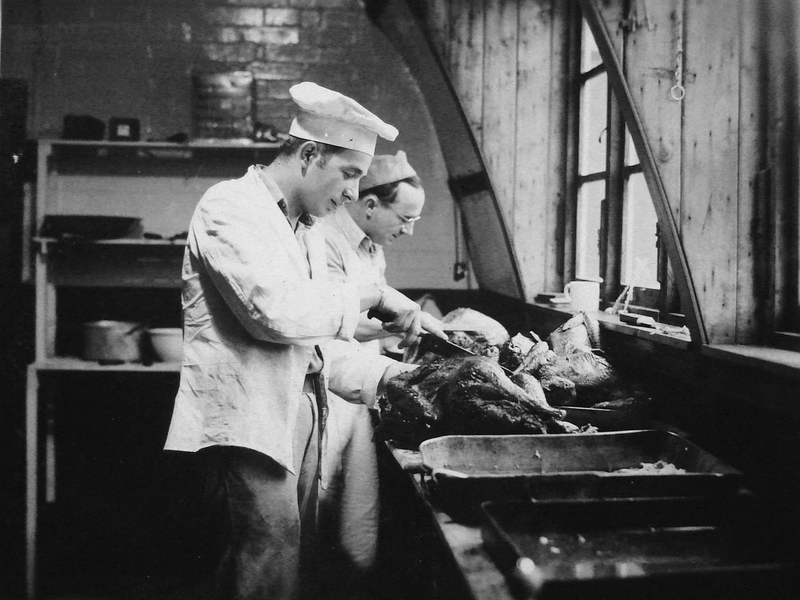 Today, I’ll take a brief look back at Thanksgiving at Grafton Underwood during WWII. It seems that even with a war going on, the men of the 384th Bomb Group based in Grafton Underwood, England followed the American tradition of a turkey dinner for Thanksgiving. I found this interesting photo in the 384th Bomb Group’s photo gallery this week. William D. Johnson was a Quartermaster Supply Technician with the 6th Service Squadron. Johnson was twenty-eight years old at the time and was from Philadelphia, Pennsylvania. 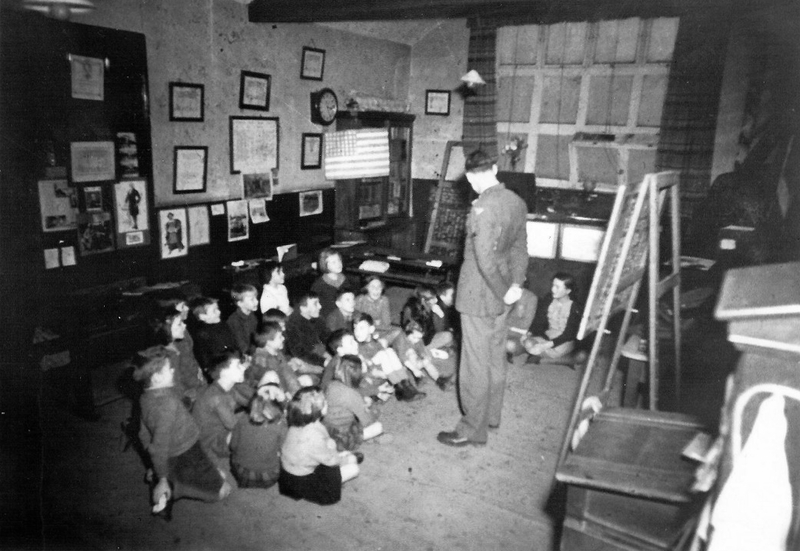 He spent Thanksgiving 1943 at war and away from home and wanted to share the story of this American holiday with the English schoolchildren. By thearrowheadclub in 384th Bomb Group on November 22, 2017 .